Awarded through the latest round of the U.S. Agency for International Development (USAID)’s Cooperative Development Program, NCBA CLUSA will work in five countries to bolster their cooperative sectors at all levels. 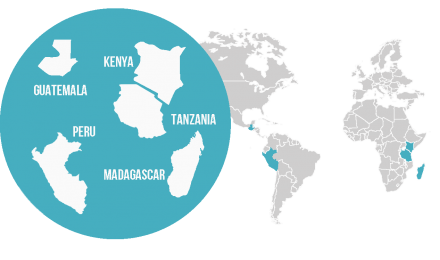 Over five years, through 2023, NCBA CLUSA will work with local governments, cooperative development organizations, private-sector partners and other stakeholders to identify ways to strengthen cooperatives in Guatemala, Peru, Kenya, Tanzania and Madagascar. To achieve these goals, activities will focus on improving the legal and regulatory framework for cooperatives; building the capacity of local support institutions to provide quality cooperative development services; and providing targeted technical assistance to cooperatives, including a focus on member equity when possible with more advanced cooperatives.